Be sure to tune inn to The Rasta Vibration Show with Dj Irie Selecta on FCC Free Radio tonight!!! First we have a pair of tickets to see Tippa Irie at The Elbo Room this Sunday in S.F. Then all the way from London, We will chat with the very talented Sherii Ven Dyer about her new music and up coming shows!!! 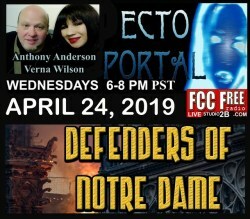 It goes down 7-10pm California Time on www.fccfreeradio.com Live in Studio 1A or on all smart devices with the tuneIn radio App!! !